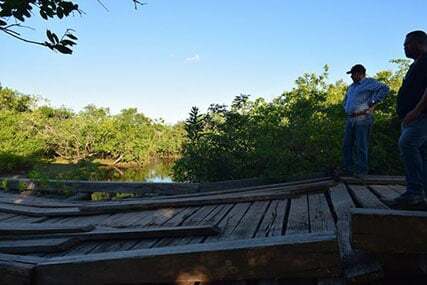 The government is to construct a 70-mile road linking the North and Central Rupununi, according to the Department of Public Information (DPI). 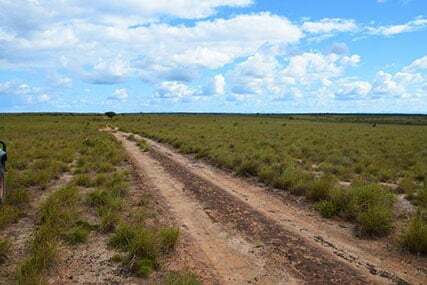 DPI said that the proposed all-weather road will benefit some 3,000 residents and will begin from Ranch Entrance at Toka Village in the North Rupununi and stretch all the way to Kwaimatta on to Karanambu, Yupukari, Quatata, then through Parishara, Nappi, Hiawa and into Lethem. Minister of Indigenous Peoples’ Affairs, Sydney Allicock and a team assessed the trail over the weekend. “It is important that while we ask people to get into farming, get into tourism and the other activities, fishing and other development of timber or even mining and agriculture. It is important for us to also work on the development of the infrastructure development of better roads”, the minister said, according to DPI. He said that a brand-new road will have to be constructed from Toka to the Yupukari entrance given that that area is swampy. Minor works will also have to be done to the other areas.